With so many conflicting messages it appears vaping is safer in the UK than in the US but why? Millions of people are now vaping either in place of smoking entirely or as a transition while smokers attempt to finally break the habit. Between the US and UK there are an estimated 12 million vapers as smoking among all age groups continues to decline, reaching historic lows. Many believe strongly in the correlation between the rise in vaping and the decline in smoking. These correlated trends are parallel in both countries and people give testimony to their personal success with vaping and the restoration of many areas of their health smoking was attacking. The correlation is obvious to the tobacco and pharmaceutical companies who both have negative sales among products that cater to smokers. 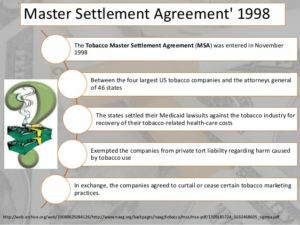 In the US, state and federal politicians are dealing with tobacco companies demanding to renegotiate settlement amounts agreed upon in the Master Settlement Agreement of 1998 due to rapidly declining sales and overall market share. State level governments truly do not want to lose or reduce the amount they receive from big tobacco as it has become a slush fund for many pet projects completely unrelated to smoking and the harm it causes. Many states, believing in the perpetuity of both smoking and the agreement’s cash flow, were quick to form corporations and sell bonds. 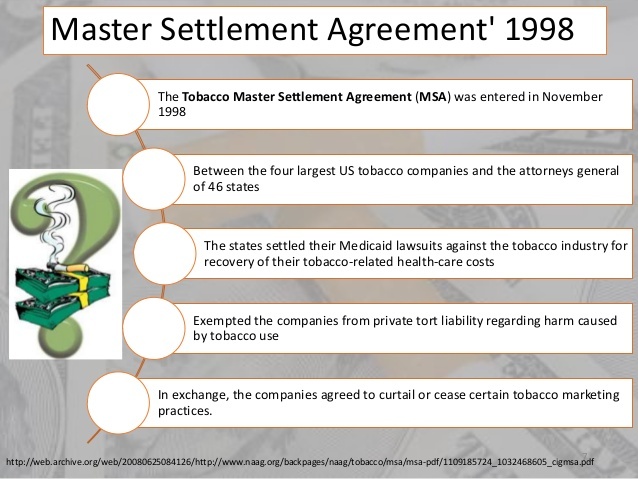 According to The Bond Buyer, “Under the 1998 Master Settlement Agreement, tobacco companies agreed to pay 46 states for expenses related to smoking illnesses. 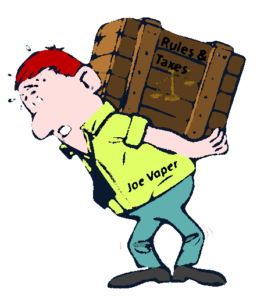 Many states then formed corporations to raise cash by selling bonds backed by future settlement revenue streams from the tobacco firms.” US vapers attending committee hearings or working with state representatives to lobby against overregulation and undo taxation fully understand the impact the loss or reduction of this revenue is having. Since funding and bond security is weakened politicians seek to replace that loss by tapping the growing vaping community and the small vape industry that has organically grown to support vapers. Tapping into this pool of money does not work if vaping is seen as beneficial for smokers so the opposite story predominates government and publicly funded sources in the US, including the Food and Drug Administration (FDA) and Center for Disease Control (CDC), two sources the public should be able to trust. Forbes magazine’s September 2016 article goes a long way in showing how the anti-vaping campaign launched by the CDC is completely backwards. Over in the UK the science is proving it is at least 95% safer with no harm to bystanders. Scientific proof you would think the FDA and US officials would be cheering over as many years as they’ve campaigned against smoking. In 2015 Public Health England (PHE) released their findings and began a growing campaign to get smokers in the UK to switch over from smoking to vaping. They saw it as a critical piece in the country’s overall Tobacco Harm Reduction efforts. Founded in the 17th Century, representing more than 32,000 doctors today and the first to definitively link cancer and smoking in 1962, the Royal College of Physicians released findings in April 2016 verifying PHE’s findings of at least 95% safer with no harm to bystander. They also fully support government efforts to get smokers to try vaping by promoting it as a much safer alternative based on both science and the obvious success of people who have used vaping to stop or significantly reduce smoking. 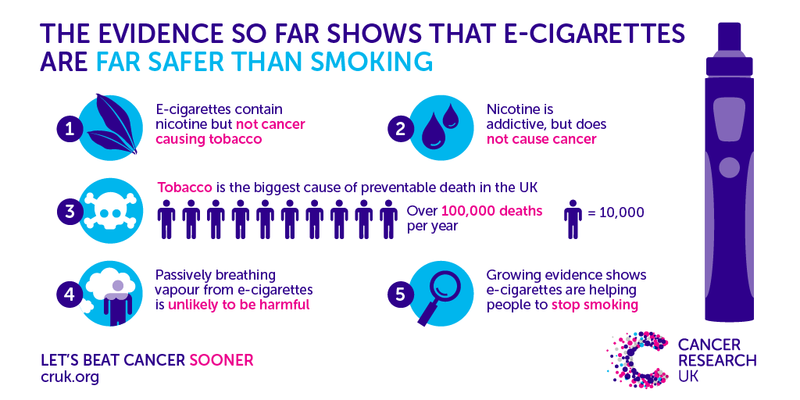 In February 2017, Cancer Research UK joined the debate with their findings, e-cigarettes are much safer and Cancer Research UK has a goal of ending cancer sooner by encouraging smokers to try vaping as a safer alternative that’s better for public health. As we all know, nicotine is addicting but it does not cause cancer. The UK is dedicated to discovering the truth while working to end smoking and chewing tobacco and their cancerous effects. In the US, nicotine is now the target of politicians and anti-smoking groups, not the tar and carcinogens killing people who smoke. This is necessary if vapers are to be taxed and regulated heavily to replace lost revenue from a decline in smoking. Vaping is said to be an alternative nicotine delivery approach so state and federal government can treat it as tobacco since government claims nicotine is tobacco. The FDA rules go so far as claiming the LED displays and software in vaping devices are tobacco despite these being electronics controlled under other bureau’s rules for quality and safety. Remember the UK government and medical science community disagree with the finding, they claim nicotine alone is not tobacco. 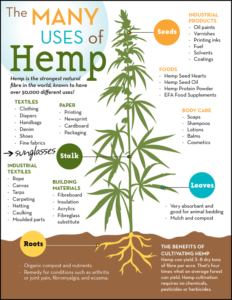 Much like maple syrup is no longer a tree, nicotine is a compound found in tobacco as well as other plants but in vaping, as in gums and patches, it has been separated from its parent plant or is possibly synthetic. 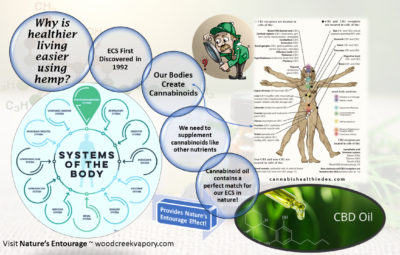 One fact starting to test out medically is nicotine removed from tobacco is not as addictive and there are a wide-variety of potential uses for nicotine to help Parkinson’s patience, Alzheimer disease suffers, and more. The federal and state governments in the US campaign hard for additional restrictions and special taxation. Common in their arguments are nicotine is dangerous to our minds before age 26, vaping will likley lead to smoking increases among youth, vaping will stop the gains made by anti-smoking efforts over the years, flavored eLiquids are designed to target children, and the FDA claims eLiquid is tobacco so it can and should be treated as such and must be controlled and taxed equal to tobacco. It is a dangerous sin to smoke and it is equally dangerous and sinful to vape according to much of the rhetoric used by those opposing the right to live smoke-free through vaping. Special sin taxation, raising age restrictions, heavy business oversight and all penalties, fees, fines, and rules that apply to cigarettes rightfully apply to vaping devices and eLiquids according to the bureaucratic and political community. Anti-smoking groups are more than happy to add e-cigarettes to their negative messaging as their grants and support increase when they do. Mom and pop don’t stand a chance despite their early success and passion for serving the vaping community. 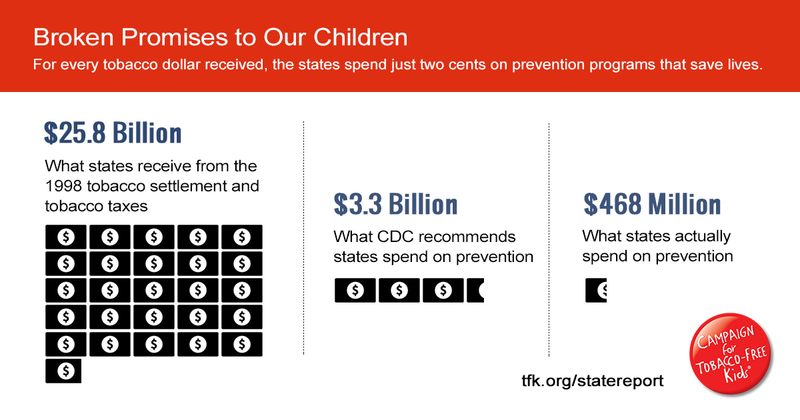 Only large corporations can weather the high costs associated with marketing and selling a tobacco product in the US. Small businesses will suffer, smokers who may have tried switching will continue to smoke, smoking rates seen dropping to historic lows will stagnate in the decline, and big tobacco companies and big pharmaceutical companies will continue to thrive while smokers continue to get sick and die with the current US approach to vaping. Smokers and anti-smoking groups are told vaping is just as bad as smoking by the US government so rules are embraced and smokers don’t switch in the numbers they were just three short years ago, the slow down is already happening. Misinformation provided by the CDC, FDA, AMA, and Tobacco 21 only magnifies the hazards to vaping in the US. Vapers will continue to be penalized, fined, and given a reason to simply keep smoking. If vapers defy regulations, by exercising personal liberty, dealing with consequences governing groups bestow upon them for simply vaping can and will lead to fines and convictions for violating bad law. After decades of being told to quit smoking one of the best ways yet to come along is under fire because so many actually are quitting, does that make sense? Its important to note there are no mass calls by politicians, bureaucrats or special interest groups to heavily tax and restrict access to pharmaceutical options of nicotine such as nicotine gums and nicotine patches. Why not if nicotine is the culprit waiting to trap our youth? Why are schools daring to serve tomatoes or grocery stores allowed to sell eggplants without extra taxes when they have nicotine? What is it that has the US government and anti-smoking groups turn against vaping as a nicotine alternative while not attacking gums and patches? 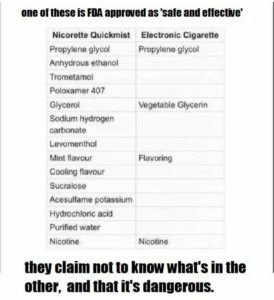 Vaping is scientifically proven to be so much safer than burning or chewing tobacco and the ingredients even appear to be safer than Nicorette gum but vaping is the only alternative being targeted. 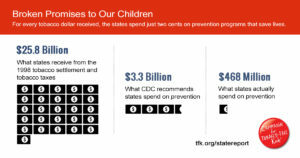 Is it a true concern for public health and the protection of our youth or political wealth through denying the truth in the US? Some feel it goes right to the bottom-line of pet project government spending, bureaucratic growth, and big corporate cronyism wielding the power of influence. Through lobbyists and political action committees (two sources of support and dollars for those seeking reelection) big companies are teaming with anti-smoking zealots in an effort to crush vaping in the US, why? If the independent vaping industry can be put out of business big tobacco can ride in with their vaping products and save the day without competition from mom and pop. This is what some believe, is it really that simple and that corrupt? 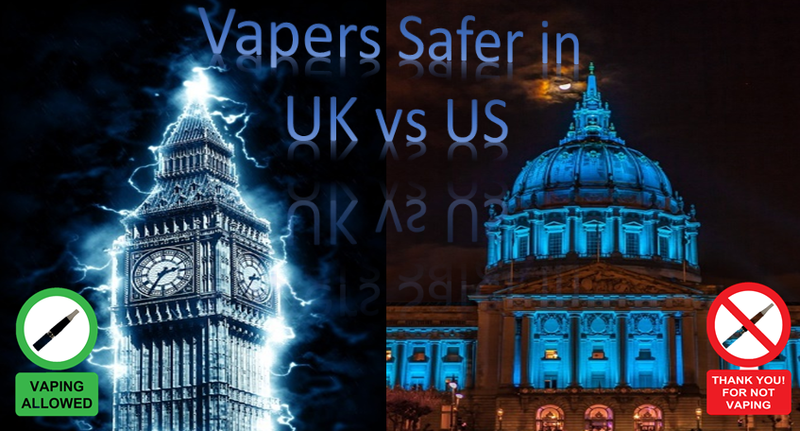 US vapers face political obstacles UK vapers do not. Crony-capitalism driven by government regulations, rules, fines, and taxes are a common approach to stifle competition in many industries. Vaping is simply the latest, saddest example of out-of-control government crushing small businesses focused on healthy living (look into what the raw milk industry is facing today). Those depending on vaping for a livelihood or as a way to stop smoking are facing Orwellian bureaucracy throughout the US. With the FDA Deeming Rules, increasing pressure through state and local overregulation, and draconian taxation imposed by states and cities many small companies have already had to close their businesses leaving employees looking for work and smokers with decreased options for help in quitting cigarettes. Many business owners were guilty of working with people to help them get off the stinkies and live a smoke-free life. interestingly, many of these people had such passion for vaping many of their customers are now former smokers actually vaping ZERO nicotine or no longer even vaping, something that should be celebrated by everyone. The reward for helping these people in the US is potential fines, high fees, and excessive taxation. Stores closing, investments being wiped out, and criminal charges against a few are simply the collateral damage when protecting our youth. In the US dangerous vapor containing nicotine must be condemned and controlled, even if it contains no nicotine at all. In the UK vapor containing nicotine is seen as one of the best alternatives to smoking ever created. People in the US who are anti-tobacco are convinced by government actions e-cigarettes are every bit as bad. Eagerly supporting anti-vaping rules while calling for more draconian oversight in reality only helps the big corporations who can afford to comply with the expensive, expansive rules. 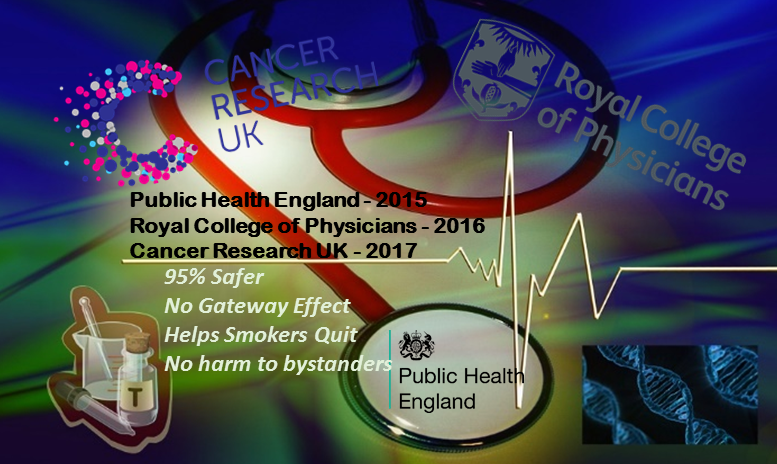 Because of the misinformation, greed, and political connections running the US more smokers will die while in the UK the government is helping more smokers live by using all the available tools, including the proven method that is 95% safer with no harm to bystanders and proving to be the most disruptive remedy yet in the combat to break the smoking and chewing habit. There is no doubt, the evidence is clear, vaping is much safer in the UK than in the US. It is time this imbalance ends! 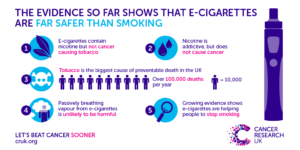 Vaping saves people’s lives – what is so wrong with that? In the UK nothing, in the US it appears about everything except its potential tax revenue.